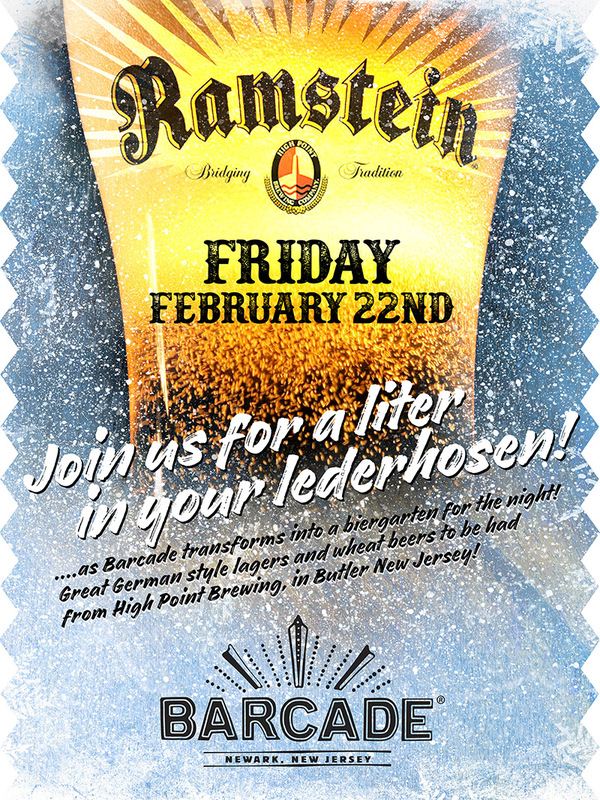 Join us Friday, February 22nd as we celebrate Ramstein Beer Night! We will be featuring a variety of delicious beers from our friends at Ramstein Brewing. Also on the menu is Barcade’s own Spielerschnitzel—which translates to gamer schnitzel! Beer brined, fried chicken cutlet, bacon-onion jam, and a mustard slaw on a brioche bun!